Me again! Talking about how much I love chicken thighs 😂 I’ll skip the intro and get to the good part. 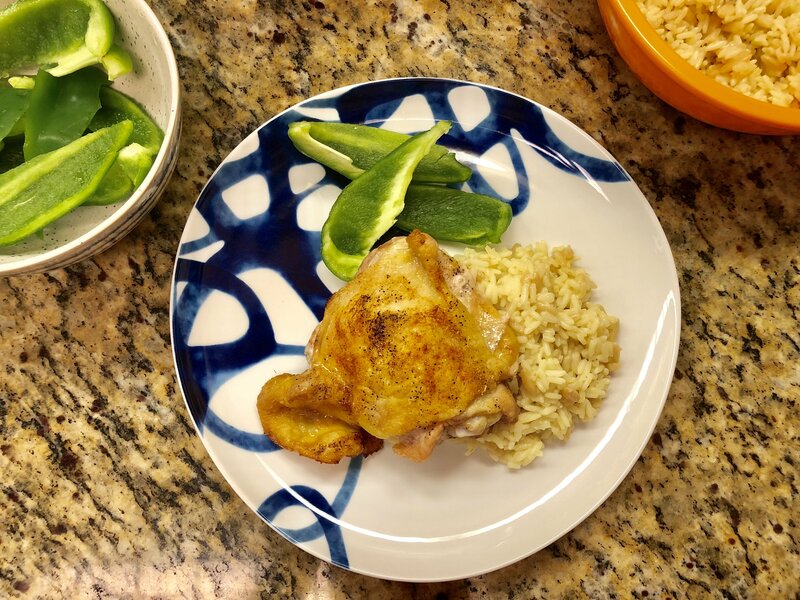 Weeknight (easy) Lemon (yum) Chicken Thighs (YUM). 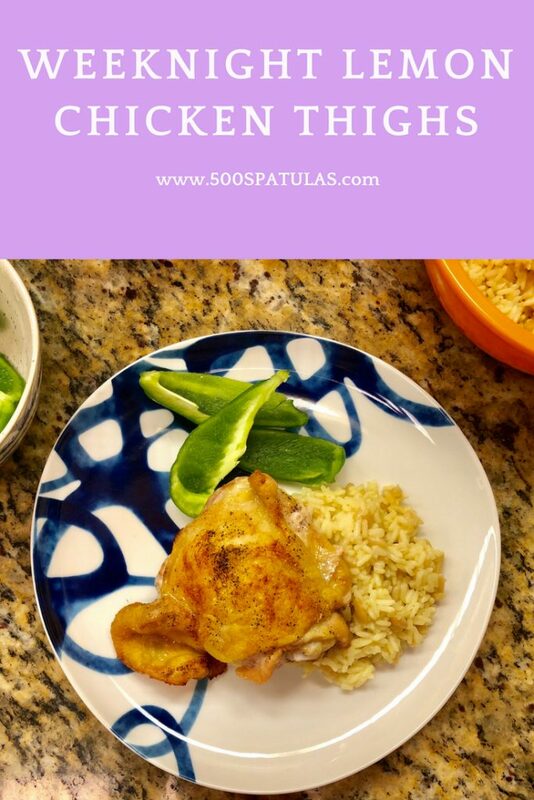 Hope you love this Weeknight Lemon Chicken Thighs recipe as much as I do! 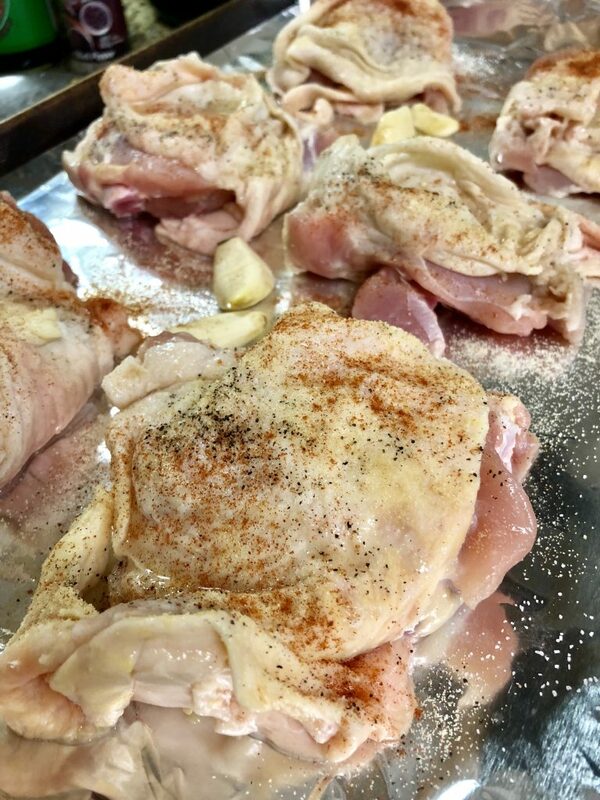 Place chicken thighs on prepared pan, skin side up. Drizzle lemon juice over each thigh. Scatter the garlic cloves on the pan. 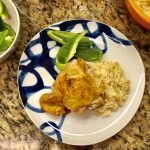 I’ll give you some alone time now with these Weeknight Lemon Chicken Thighs 😜 Happy cooking! Preheat oven to 350 degrees. 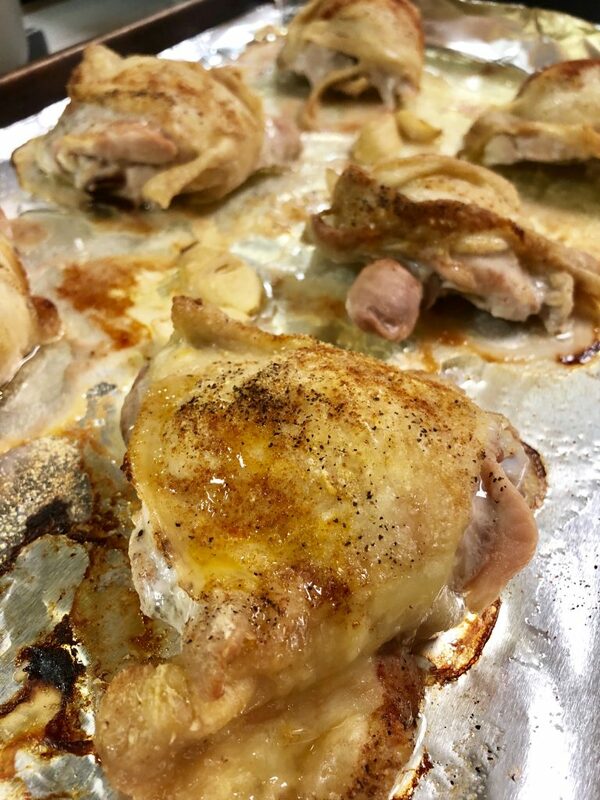 Line a baking sheet with aluminum foil, and spray with cooking spray. 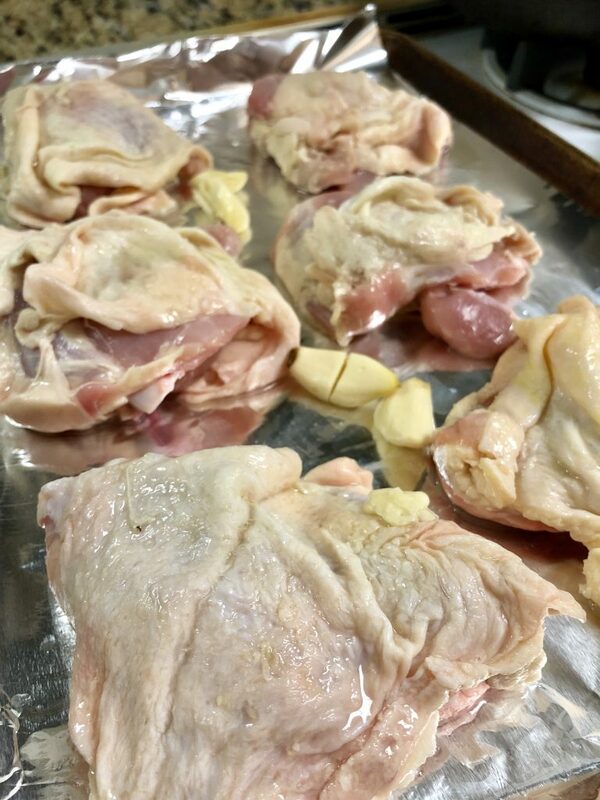 Place chicken thighs on prepared pan, skin side up. Drizzle lemon juice over each thigh. Scatter the garlic cloves around the pan.